I used etched copper for the front and back covers. I probably should patina the copper so the design shows up more. 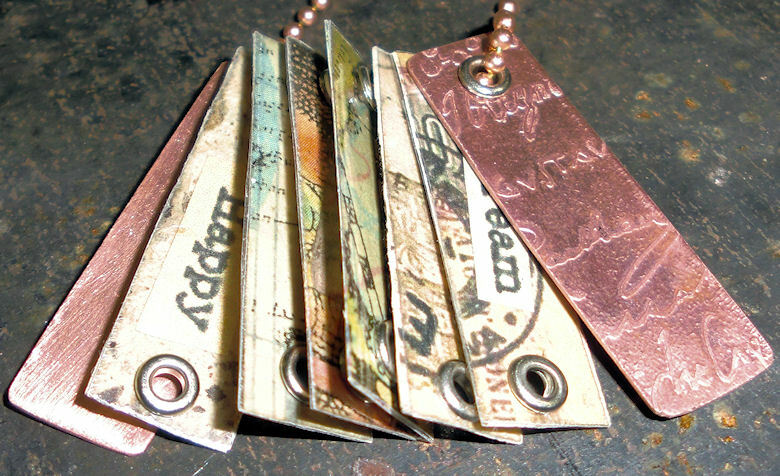 The other 6 tags are paper covered with mica, then riveted using those scrapbook eyelets or whatever they are called. It’s hard for me to make things the same size as I hate measuring anything so that was the challenge for me in this project.